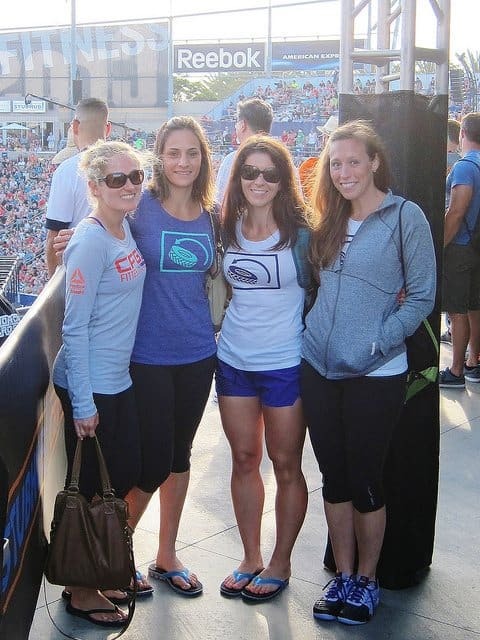 As any of you that follow me on instagram or twitter know, I got to spend this past weekend at the 2013 Reebok CrossFit Games in California. It was beyond a blast and I can’t thank Reebok enough for the opportunity! My blogging buddies for the weekend were Tina, Anne and Ericka and we had an absolute blast together! It’s really fun to hang out with a bunch of people that have the exact same interests as you. It definitely makes conversation super easy! 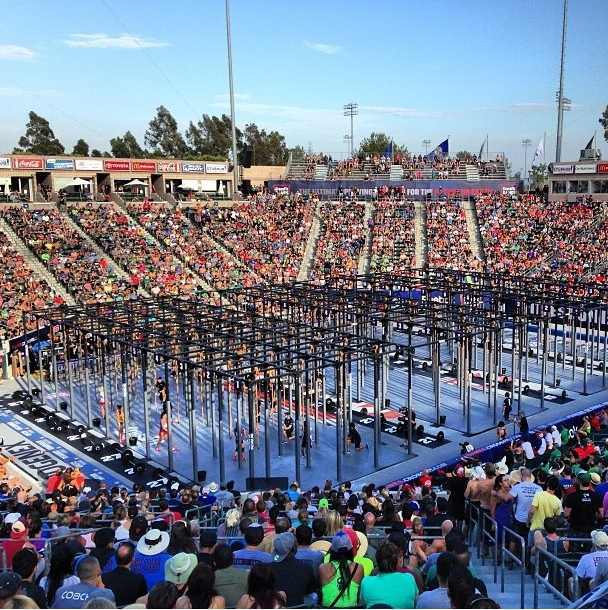 So The CrossFit Games is basically like the Olympics for Crossfitters. Athletes competed in the CrossFit Open back in March, the best moving on to Regionals where 17 regions are represented and the top 3 men & women from each move onto The Games which was held this past week. It’s an event filled with people who have literally trained all year round to get to this point. Some of the workouts for The Games are released ahead of time, but some aren’t announced until the day of the event. It definitely keeps up the anticipation on both the audience and the athletes! A lot of people I run into think CrossFit is all just a bunch of people throwing heavy weights around in a gym. What I loved about the workouts in The Games was the variety. The Games epitomized that. From swimming, to a half marathon row, to a clean & jerk weight ladder (which we’re doing at my box today!) to legless rope climbs to an 80 foot handstand walk, athletes had to prove they could do it all. Because one big weakness could quickly send you to the back of the pack from which you might never recover. 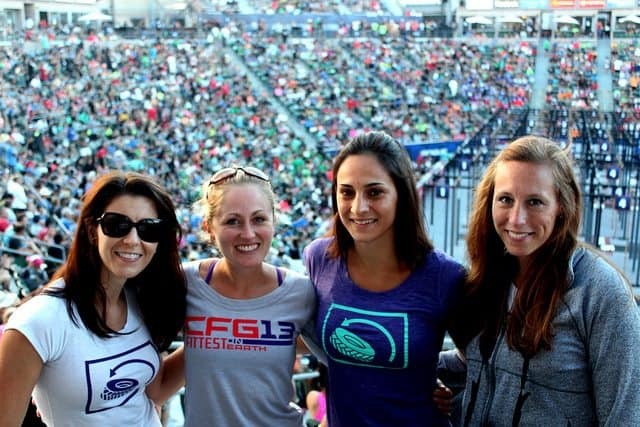 I was literally awe-struck as we watched these athletes attack one wod after the next. Women that could deadlift 50 pounds more than my PR and then do it for 15 reps. Men who could bang out 5 muscle ups like it was nothing. 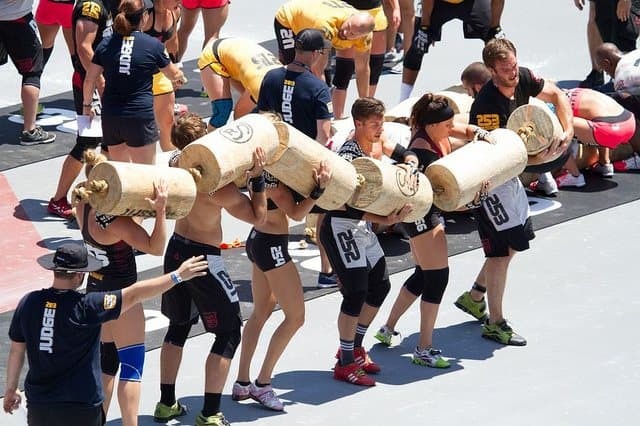 Teams working together with huge wooden logs to do 40 clean & jerks while their ears were getting torn apart and bleeding all over the “worm”. It was a truly humbling and yet inspiring experience to watch it all. On Sunday afternoon we all eagerly awaited the announcement of the final wod that would crown the fittest man & woman on earth. 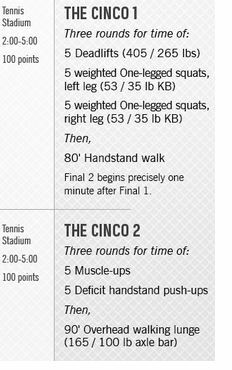 It ended up being a 2-part wod, each part with a 7 minute time cap. To give you some perspective as to how hard this one was, only a handful of athletes actually finished each part in each of heats. Heavy deadlifts, weighted pistols, a handstand walk on burning black mats in the open sun, muscle ups, deficit (meaning their heads went below parallel like in the picture) hand stand pushups and a heavy weighted 90 foot lunge. I seriously couldn’t even dream up a tougher workout combination. 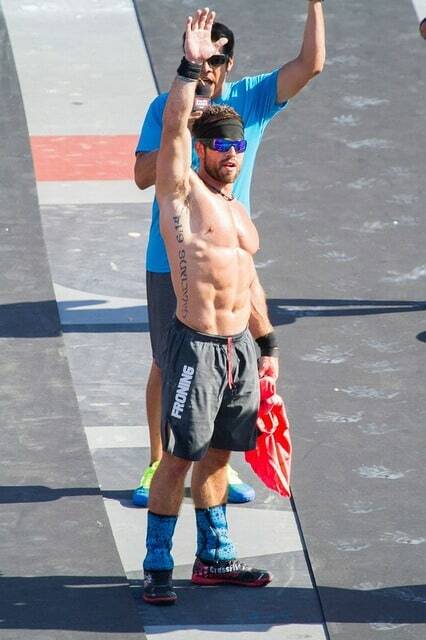 As most of you know already, Rich Froning pulled off his 3rd consecutive win at The Games this year for the men. 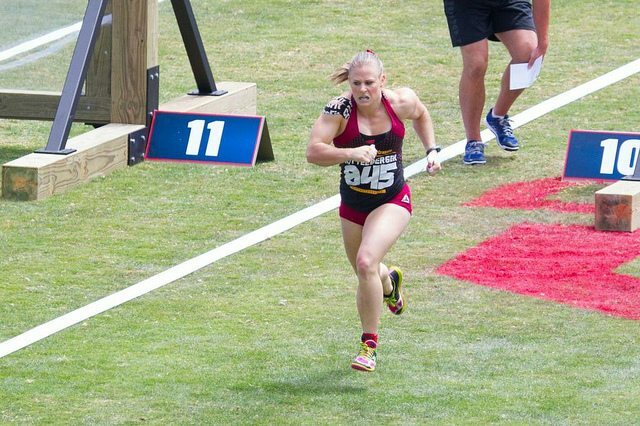 While Samantha Briggs from the UK won 1st place for the women. 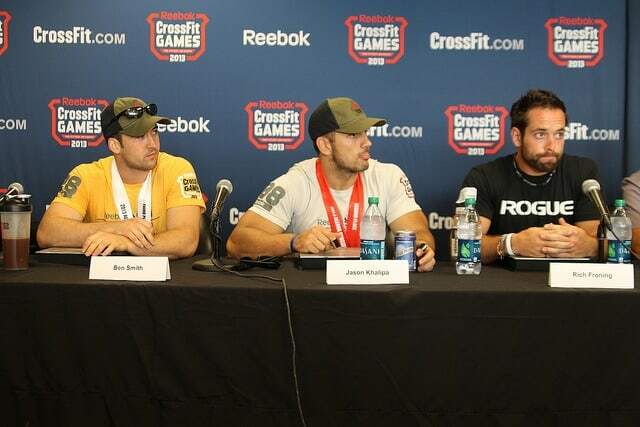 After the final workout, we were lucky enough to grab front row seats at the press conference with the winners. I pretended to look like I belonged there and wasn’t just totally star-struck sitting 6 feet away. Jason Khalipa was my favorite as he downed about 3 beers in 10 minutes during the conference. 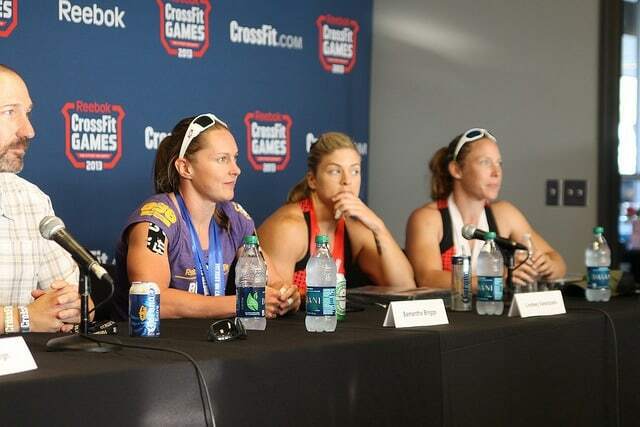 I thought the best part of the press conference was actually when Dave Castro explained how far the sport of CrossFit has come since the first games in 2007. A few years ago, a wod was announced with a 275lb. deadlift for the men and met with huge criticism for being such a heavy weight. 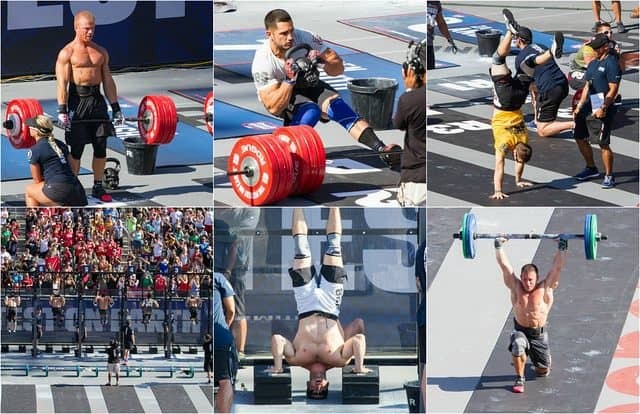 This year, the men deadlifted 405 in the last wod and the women 265, 15 times. The point of that was to explain how we’re all capable of so much more than we think. You just have to push yourself to find that out. I can’t wait to see what the future holds for The Games. From the sounds of what Dave was saying, they’re already planning on some pretty crazy wods for next year! Outside of the actual events of The Games, the venue itself was just out of control. 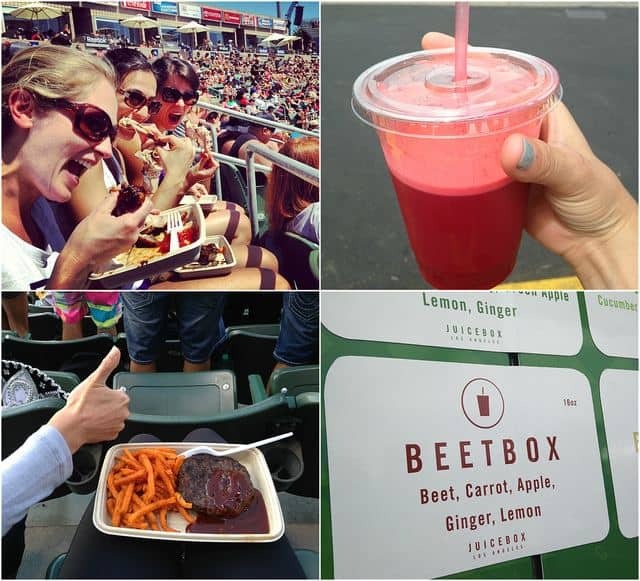 Picture a sporting even stadium filled with paleo food trucks, people working out in every direction you look. It was just super bizarre and super amazing at the same time. Buns weren’t even an option for the burgers being served. Can you imagine going to a baseball game and trying to pull that off?! Only in CrossFit… The roasted chicken they served was seriously better than any I’ve ever made and it was served at.a.stadium. We ate it no less than 3 times in 36 hours and licked our fingers clean each time. Outside of the stadium food, food truck vendors were lined up selling things like coconut water out of a real coconut, kale power bowls and our favorite, the juice box truck. Each juice was $10 and I’d rather not acknowledge how much money I spent over the 3 days on juice. Suffice it to say the juices were amazing and the amount was a lot. All in all, it was a whirlwind 3 days and the opportunity of a lifetime! I’ll be sharing more about our workouts with Christmas Abbott and celebrity trainer, Yumi Lee later in the week. Changing tires on a race car was involved…Let’s just say I’m not going to be the next NASCAR pit crew member. 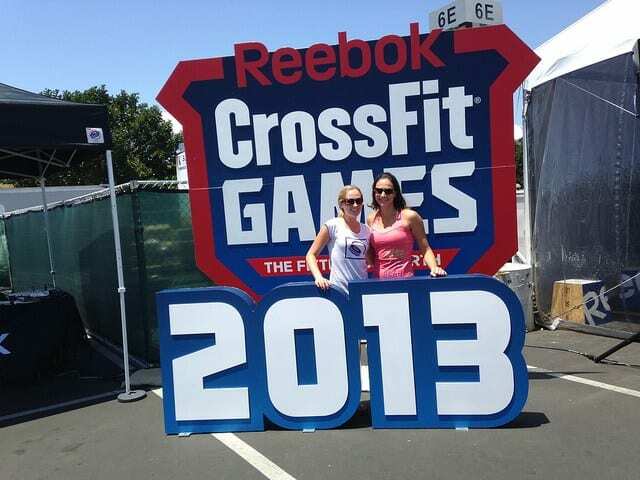 Thank you again to Reebok and FitFluential for the opportunity! ooooh how I WOULD HAVE LOVED to have been there. So great spending the weekend with you. :) Juice Box 4 life! Yay! Post up! :) I had so much fun, wish we could do it again!! Great photos! Can’t wait to hear about the WODs!